Genesis chapter ten is known as The Table of Nations. All the nations of the world and all the peoples of the nations descend from Noah’s three sons, Japheth, Ham and Shem. Last week we taught on the lineage of Japheth and Ham. This morning our teaching will be on the descendants of Shem. Some say Japheth was the elder of the three sons while others claim Shem was the oldest brother. However the Bible says that Shem was the first born. This we also know. Shem was one hundred years old when his third son was born. So let’s get started. Shem in Hebrew means Name. Shem is the ancestor of the Jewish People. Read 1 Chronicles 1.24-28. Many Arabs from Islam descend from Ishmael, Abraham’s son. Shem and a number of his descendants are in the Messianic lineage of Yeshua. Eber, the son of Shem. Eber in Hebrew is Ay vehr who also is an ancestor of the Jewish People. The word “Hebrew” in Hebrew is Eev ree and comes from Eber or Ay vehr. Abram is called a Hebrew. God later called the Hebrews Israel. God called Himself the Lord God of the Hebrews. In Hebrew; Yehovah Ehlohay Hah Eev reem. The term Jew or Jewish is first used in the Bible in the Book of Esther. from the tribe of Benjamin. But the word Jew or Jewish infact means Praiser of God. So Shem is the elder. See Genesis 5.32, Genesis 6.10, Genesis 9.18. But that’s not important. David was the youngest. 1 Samuel.16.11. Elam – Became a people and a region of Persia, today’s Iran. ancestor of the Assyrian people. todays Iraq, part of Persia, Israel, Jordan, Egypt and part of Turkey. into captivity throughout Assyria, and replaced them with their own people. Arphaxad – Was the founder of a region in Assyria. Lud – An ancestor of a people in Asia Minor. Asia Minor is Greece and Turkey. Aramaens. And is also Mesopotamia which in Greek means, Between the rivers. The rivers being the Tigris and Euphrates. So Aram would include Syria and Iraq. According to Ezekiel 14.12-14, Uz was in Israel. Hul, Gether,and Mash were ancestors of peoples in Syria. because he is the father of Eber an ancestor of Abraham. Eber – We’ve talked about. at that time, into various geographic groups or into different regions of the world. refer to their origin as being from Joktan. are peoples who settled in Arabia. Uzal – Is an ancestor of a people in Yemen in southern Arabia. Diklah – Also is an ancestor of a people in Arabia. Obal – Also an ancestor of a people in Arabia. second largest religion in the world. Christianity has 1.9 billion people or 32% of the world’s population. Islam has 1.2 billion people or 20% of the world’s population. 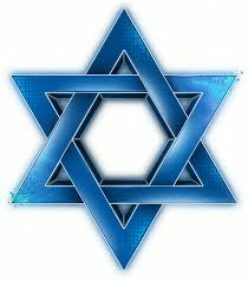 Judaism has 14 million people or less then 1/4 of 1% of the world’s population. with the name Sheba. One in southern Arabia, the other in Syria. Ophir – Is the ancestor of a people either in Arabia or India. Havilah – In Hebrew means circular. 1/ Havilah is first mentioned in Genesis 2.11. Read Genesis 2.10-15. So Havilah is a land associated with the Garden of Eden, with beautiful gems and gold. over and the future Messianic Kingdom. the ancestor of a people in Arabia and parts of India. Jobab – An ancestor of a people in Arabia. Mesha – Was a region of Arabia. Sephar – A mountain in Arabia. Genesis 31-32 See Acts 17. 24-26. Determined means God appointed in advance, even decreed. earthquakes, the end of times, Messiah’s return, etc. Bounds – The boundries of all nations. their language and scattered the people throughout the earth. One language. I believe that language was Hebrew. Russia and then throughout the world. Plain – A wide valley between mountains, like Las Vegas. Shinar – In Babylon or todays Iraq. Slime – A kind of cement. Genesis 11.4-6 Nothing will be out of their reach. Babel – In Hebrew is Bah vel meaning Babylon. So why did God scatter the people throughout the world? To populate the earth. Your own understanding – Don’t depend on yourself or others. Your paths – God will guide your life for the good. So far in the first eleven chapters of the Bible, we learn two very important teachings from the Lord God. 1/ God wants us to obey Him, His Teachings, His Laws and His Commandments. For obeying God, we are blessed as Noah was blessed. as Sodom and Gomorrah found trouble for not obeying God’s Teachings, Laws and Commandments. good, and give us so much more. the Lord seeks from us. Obedience to Him, our trust in Him and our love for Him and others. So Noah and his wife had three sons, and each son was married and had children after the flood. And from these three children of Noah, all the peoples of the world have descended from them. Some call Genesis chapter 10 the Table of Nations. This morning our teaching will be on the descendants of Japheth and Ham. And next week we will teach on the descendants of Shem. families and races that descended from Noah’s three sons. Japheth was the father of some fourteen nations, and over time, many more then fourteen. His sons established civilizations in Iran, Greece, countries throughout Europe and Russia. Was the ancestor and founder of Russia. See Ezekiel 38.1-9. Was the ancestor of Media or Iran. The founder of Greece and the Greek people. An ancestor of the people of Greece and Turkey occupying the coast lands of the Aegean Sea. The Aegean Sea is part of the Mediterranean Sea between Greece and Turkey. Yugoslavia, Poland, Germany and Russia. The ancestor of a region in Spain. See Jonah 1.1-3. An ancestor of Cyprus in the Aegean Sea. Another ancestor of the Greeks. The Isles of the Gentiles. The translation in Hebrew is; Ee yay Hah Goy im. Isles – Ee yay; means, Islands and countries. Inheritance – The land they inherited which was given to them by God. Separated – Scattered and dispersed. Bounds – Boundaries and boarders. Coast of north Africa and into Egypt, Canaan, Babylon, and other countries. Cush is Ethiopia and the ancestor of Ethiopia. Means Egypt in Hebrew and is the ancestor and founder of Egypt and the Egyptians. Ancestor of Libia, an African nation. Canaan for an everlasting possession when Joshua brought them into the Land. Seba was the ancestor of a region of Ethiopia. of Saudi Arabia and Ethiopia. Is the ancestor of a people on the shore of the Arabian Sea. The Arabian Sea is huge. Are ancestors of peoples in the regions of Ethiopia. parts of todays Saudi Arabia and perhaps people in southern Iran. The cities of Babel, Erech, Accad and Calneh were in Babylon, todays Iraq. Asshur means Assyria and is no doubt the founder of Assyria. He was a son of Shem. He built Ninevah, Rehoboth and Caleh, cities or regions in Assyria. And Asshur built Resen which was a great city. Mizraim, the founder of Egypt had sons born of him. Are ancestors of Egyptian peoples. Are of Egyptian origin from Ham. And they are ancestors of these Egyptian people. Was a Canaanite who is the ancestor of the Hittite people in Canaan and lived in Hebron. Yeh voos or Jebus, the ancient name for Jerusalem. A nation of Canaan. Possibly the Amorites are sometimes classified in the Bible as all Canaan. The Hivites were a Canaanite people. Were a people of Lebanon. Were a people of Canaan. Is the city of Hamath in todays Syria, called Hama today. And is north of Damascus. Euphrates River and perhaps that part of Egypt to the Nile. And afterward were the families of the Canaanites dispersed and scattered. Border – Border or territory of the Canaanites. Sodom and Gomorrah – By the south end of the Dead Sea along the Jordan River. Admah – A city near the dead Sea, was destroyed with Sodom and Gomorrah. Lasha – A town east of the Dead Sea in todays Jordan. I think it’s important to note that there were no Jewish people or Children of Israel who are one and the same, when the Lord God made the distribution of the Nations in Genesis Chapter 10 to establish the ancient world. 367 years after the Flood, God chose the man Abraham and years later, the Children of Israel out of the Nations to be His witnesses to all the world. Isaiah 43.10. And to gather to Him in one, a people from all the Nations to be a special people for Himself, according to the Covenant He made with the Children of Israel, which reads, “Know therefore that the Lord your God, He is God, the faithful God, which keeps Covenant and Mercy with them that love Him and keep His Commandments, to a thousand generations.” I Believe a thousand generations mean forever. And that Covenant is found in Deuteronomy 7.9. That is why Yeshua Who is God, the God of Israel says, “If you love Me, keep My Commandments.” That is how we become God’s special people. Loving Yeshua and keeping the Commandments of God. That never changes.